The models distributed in this project are licensed under a Creative Commons Attribution-Noncommercial-Share Alike 2.0 France License. BEFORE DOWNLOADING PLEASE READ, UNDERSTAND AND AGREE TO THE FOLLOWING TERMS AND CONDITIONS AND CREATE YOUR REGISTRATION PROFILE. The models distributed in project are licensed under a Creative Commons Attribution-Noncommercial-Share Alike 2.0 France License. The pregant women models have been generated from a 3D human model of the company DAZ 3D. Copies of DAZ 3D products are licensed all the way through the distribution channel to the end user. In order to be able to download the models, you also must agree to the EULA DAZ 3D. Sonia Dahdouh, Nadège Varsier, Antoine Serrurier, Juan-Pablo de la Plata, Jérémie Anquez, Elsa D. Angelini, Joe Wiart, Isabelle Bloch. A comprehensive tool for image-based generation of fetus and pregnant women mesh models for numerical dosimetry studies. 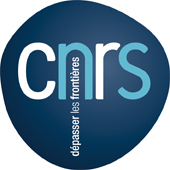 These project were funded by the Fondation Santé et Radiofréquences, the Instituts Carnot, the JST-ANR, the ANSES and Orange.